It is great to use new iOS 6.0.1 version on iPhone 5, 4S, 4, 3GS and don’t think about to unlock it. But if you have such problem I will help you with that. Now when you know what baseband is on iOS 6.0.1 you can easily unlocking using the ways I have here. Only few days ago I showed you all tips and tricks on how to unlock iOS 6 firmware and now the turn came for 6.0.1. It is great that Apple payed attention on bugs in iOS 6 and decided to release iOS 6.0.1. The new version brought nothing special, only some improvements (now you can use over the air update on iPhone 5) and bug fixes like horizontal lines on the keyboard, camera issues, WiFi connection problems and more. You will be able to enjoy all these features with one condition, when your phone will be unlocked. If you are looking to find some new unlocking solution for iOS 6.0.1 I have to disappoint you. There is still the same method as SAM, Gevey, Ultrasn0w. 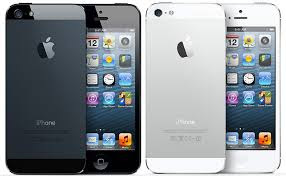 Also there is the best method know as IMEI unlocking method. You can always unlock iOS 6.0.1 or any other iOS using SAM tool but only if you have backed up Activation ticket. With this ticket SAM is the best free unlocking solution in our days. There are still many those who are using SAM tool on their devices, especially those who have those tickets. So if you don’t have activation ticket forget about iOS 6.0.1. Then Install SAM on iPhone 4, 4S , 3GS and replace Activation ticket. The detailed guide on how to do that you can use from iOS 6 SAM unlock tutorial. Well there is the only one Gevey Ultra S for 3.0.04 baseband on iPhone 4S. If your iPhone’s modem firmware is 3.0.04 then you can easily to order this SIM at ApplenBerry company. But if your device features another baseband then stay away from the update. But it is confirmed that iOS 6.0.1 baseband on iPhone 4s is 3.0.04. As for iPhone 4 you will be able to unlock only 01.59.00 with Ultrasnow. So if you update your device to iOS 6.0.1 baseband 04.12.02 you will not be able to unlock it. and install it on your device. Note: I have just recently found warning to not update your device to iOS 6.0.1 if you use Ultrasn0w. 1 Respones to "How to Unlock iOS 6.0.1 on iPhone 5, 4s, 4, 3gs [Overview]"